In France learners traditionally choose a first foreign language (“Langue Vivante 1” or “LV1”) when starting Middle School, in “Sixieme” (Grade 6). When starting “Quatrième” (Grade 8), they choose a second foreign language (“LV2”). Some Middle Schools offer “international sections”, which allow “Sixième” learners to continue learning a foreign language started in Primary School while starting to learn a second foreign language. Cape Town French School offers such an “international section”. From Pre-Primary School to the end of Primary School (CM2 /Grade 5), our learners follow the Cambridge English Programme. 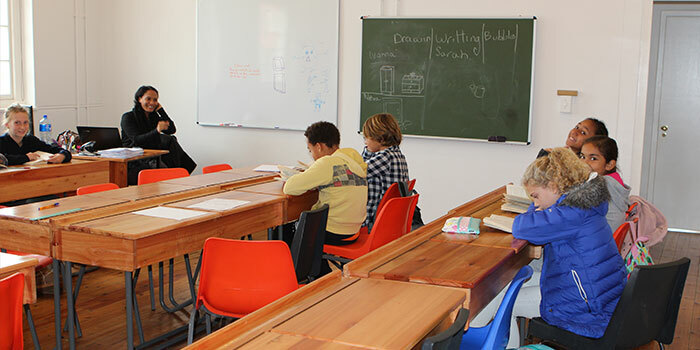 As of September 2018, the learners in Middle School (starting Grade 6) will have 4 hours of English Literature, as well as two out of four hours of History and Geography taught in English per week. In parallel, the learners begin studying a new foreign language. Our school offers either Spanish or German as foreign languages, taught three hours per week.